Replacement and upgrade game-code (software). Software for this game comes on a game-compatible USB memory key that plugs into the game's MPU board. Instructions for the update procedure are included. 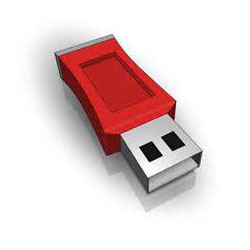 Deposit: Each USB key includes a $15 deposit charge. After updating your game, you may return the USB memory key to us within 30 days of ship date to receive a refund of the deposit charge. Return is optional- you may keep the USB key for a backup if you wish. Some restrictions apply (see included instructions).